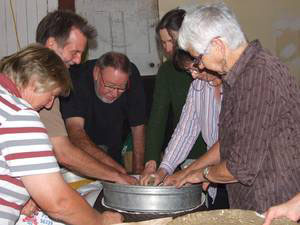 The Bega Valley Seed Savers held a series of workshops for people interested in saving seed from their vegetables gardens. The workshops were aimed at complete beginners as well as those looking to expand their skills. 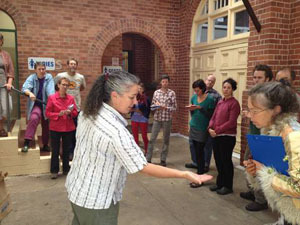 Workshops were held in Bega, Eden and Cobargo during March 2013. 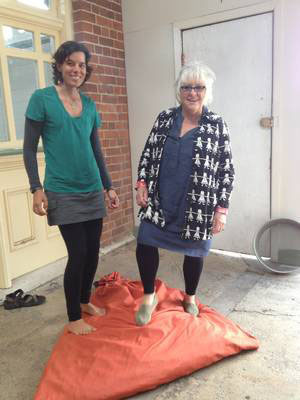 The workshops were presented by Julie Davies from the Bega Valley Seed Savers (02 6492 5516). Lisa and Sue doing the seedsavers foxtrot on a bag of celeriac stalks and seed. 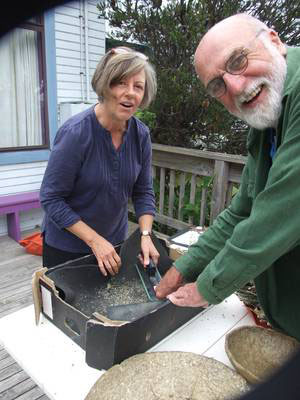 Trish and Keith processing lettuce seed.